Protect your skin's DNA with both traditional L-ascorbic Vitamin C, and newer Aminopropyl Ascorbyl Phosphate. The easiest way to protect your skin from UVA & UVB rays damaging effects is by using a topical vitamin c every single day. 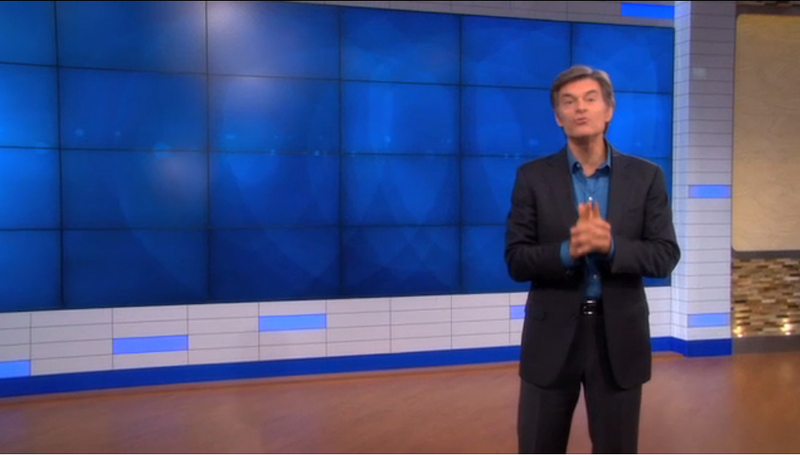 Every moment you delay invites cellular damage, wrinkles, lax skin and pigmentation problems. We want to make this as EASY as possible for you to understand. So, if you prefer videos, let our CEO tell you all about our very special Vitamin C Serum in this video, and skip the reading. Protect your skin from UVA & UVB damages. Protect your face from the effects of aging. Neutralize free radicals prior to causing damage. Improve your skin's tone and texture. Age spot reduction. *Slows melanin production. Attracts moisture to the skin from the environment. 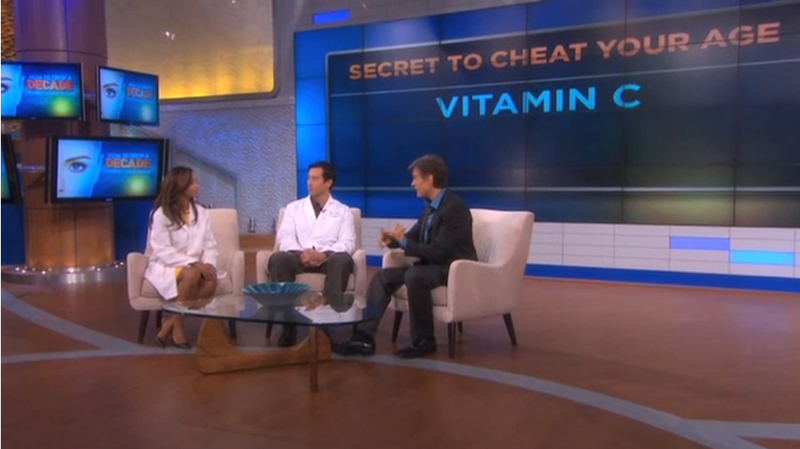 Dermatologists state that Vitamin C Serum should be an integral part of your daily regimen. What Makes Platinum Skin Care's Vitamin C the best? We know you are looking for the best Vitamin C serum, and we have worked very hard to create it for you. Our water-free High Octane Vitamin C Serum is a light, almost powdery serum that is easily spreadable. It contains stable, time-tested L-Ascorbic Acid and newer, Aminopropyl Ascorbyl Phosphate. The mixture of these two C's will be able to push our antioxidant's power full throttle. Our serum will be fresh and active for at least 1 full year! High Octane Vitamin C will remain its natural light creamy color, and stay potent and perfect for months and months. Never worry about refrigeration or brown smelly serums again. Why Should I Choose a Water-Free Formulation? Water-based vitamin C formulations all have the same issue. They are not stable bases for L-ascorbic acid. Have you ever purchased a liquid vitamin c product (even in an amber bottle), used it for about a month - carefully putting it in a cupboard for safe keeping, and then noticed the color getting darker by the day? It will be completely useless, and smelly, by day 90. * *If it is fresh and has not been sitting in a storage facility for many months prior to delivery. If it has been sitting there for 30-45 days prior to your receiving it, ... well you won't get even the 3 months usage from that bottle. How Does Vitamin C Work as an Antioxidant? People throw around the words "free radicals" and "antioxidants" every day. Maybe you are not sure exactly what that means, so we would like to educate you a bit here at Platinum. Absolutely everything is made of molecules. You, me and the trees, we are all just molecules. These molecules are made out of atoms, and the atoms are made from pairs of electrons. The problem arises when an atom turns up missing an electron. Missing electrons happen every day. Breathing, UV exposure, pollution and even smoking all destroy electron bonds. After a bond is broken, the single odd ball electron is now considered a free radical. 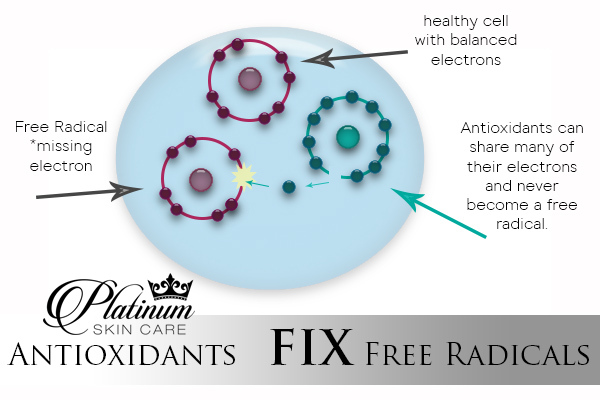 Unfortunately for our skin, free radicals are very unstable and will try to grab another electron to gain their stability again. They generally attack the nearest stable molecule to steal an electron. When that molecule now loses its electron, it too becomes a free radical, beginning a domino effect. Once the process is started, it can cascade, finally resulting in the destruction of a living cell. What Does Free Radical Damage Look Like? Free radicals damage everything they contact. They contribute to photo-aging by causing oxidative stress to cells in all layers of the skin. They disrupt proper cell function and prevent proper cellular repairs. This allows for prolific cellular damage, decay and abnormal cellular growth. Unbalanced electron damages can appear on your skin in numerous forms. Pigmentation, or brown spotting is probably the most common complaint. But broken blood vessels and skin that is slack and loose from damaged elastin is a close second. Free radicals can also break down collagen fibers and thus stimulate new wrinkles. Let’s look up close to a fiber of collagen. Collagen is made up of numerous atoms and electrons all perfectly balanced. If a free radical was created by your sun tanning this afternoon, it is going to search out another electron. If it grabs one from your collagen fiber, NOW your fiber is damaged and there are more free radicals running around anew. When there end up being several damages, the collagen becomes dysfunctional and loses its elastic quality. Now you have loose skin and (with your constant tanning/smoking/…) most likely spotting and excess wrinkles. Let’s stop the damages before they occur! How Can Vitamin C Stop Free Radicals From Damaging My Skin? Vitamin C is a very powerful and well researched antioxidant that can stop the damages before they happen. It is considered a scavenger, with the single minded goal to prevent cell and tissue damages. It can neutralize the free radicals by donating one of its own electrons. This in effect ends the electron stealing attacks. *Vitamin C never becomes a free radical after donating electrons because it is stable in any form. Your answer to free radicals is Vitamin C! What percentage of Vitamin C does my skin need? There are many C serums out there with super high percentages. Platinum Skin Care is all about that! But with vitamin C, we take a different stand. Topical Vitamin C provides more than twenty times the amount of Vitamin C found in normal skin, so extremely high percentages are quite wasteful and will not be absorbed and utilized. A topical application should be around 10%. Ours has 10% L-ascorbic plus the aminopropyl ascorbyl phosphate which a naturally stronger potency. Since the amount of Vitamin C that penetrates into your skin is directly correlated with the acidity of the C, we have set ours appropriately low (2.5pH). You will find that our Serum will deliver the maximum amount of this essential topical vitamin into the skin with just a slight amount of irritation/tingling. High Octane Vitamin C will help to protect your skin from UVA & UVB rays damaging effects. *Ultraviolet light exposure depletes up to two-thirds of your skin's Vitamin C stores. These levels cannot be re-obtained by ingestion of Vitamin C! They can only be reached with a topical application. Skin inflammations have been reported to be alleviated by topical use of Vitamin C on ultraviolet radiation-induced erythema. This same study also showed a protective effect on the inflammatory response when applied, even after sun exposure from ultraviolet sunburn. Applied daily, our serum will help to protect your skin from UVA & UVB rays damaging effects. It will stimulate collagen production, improve skin's tone and texture, improve pigmentation issues and increase elasticity of the skin. Many studies have shown a daily application of Vitamin C to be extremely helpful in the control of acne! Apply in the a.m. after cleansing and toning. Apply our Vitamin C serum on skin of 3-10% for best results. Exfoliate with AHA's (Cleansers or Toners) before application of Vitamin C for best penetration. Apply Vitamin C in the morning - before any other creams. For an anti-aging - PUNCH - apply a Retinol Serum in the evenings to complement the l-ascorbic acid. You do not need to refrigerate our Vitamin C serum product. It will retain its freshness up to 1 year under "normal conditions" due to the fact that it is water free! Please keep in a dark cupboard and away from direct sunlight or extreme temperatures. Our serum is so smooth and luxurious some might think it resembles a cream more than a serum. Well that is just the way we like it! The most luxurious serum you have ever used! How Do You Use Vitamin C Serum? Even though our C is a bit thicker, it is still considered a serum. In order of application serums always go on prior to creams. We suggest applying any thinner serums first, then apply High Octane. Apply to freshly cleansed skin 1-2x daily. *A mild warming/tingling is normal from the low pH level of the acid. Alternate application method: You may mix this Vitamin C Serum with other serums or creams and apply at once. An excellent suggestion is a dab of High Octane mixed with 1 pump of Nano Hyaluronic Acid & Stem Cell Serum. Cyclomethicone, Isododecene, L-Ascorbic Acid, Dimethicone Copolymer, Dimethiconol, Dimethicone Crosspolymer 3, Cyclopentasiloxane, Cyclotetrasiloxane, Octyl Cocoate, Phenyltrimethicone, Aminopropyl Ascorbyl Phosphate, Lecithin, Glycolipids, Phenoxyethanol. 30ml/1oz. See our Vitamin C Serum reviews below and just click the "I WANT IT" link above to order online today.